Scrooge is also a vampire and Toots doesn’t know she thought . . .
“If Red Bull gives you weengs what does Sting give you Toots?” asked Nazia. Toots shot back a bewildered look that emphasized on how Nazia had lost it, “It gives you springs!” she said. “That I could see when you were jumping around the corridor and assuming my Gtalk as yours after you had downed two Stings. My goodness you were so high on the energy drink!” replied Nazia. A few days back when Toots had her high intake of Sting, she was literally acting crazy, she loosened up Nazia’s hair, was taking her pictures while she was trying to stay up after her advertising class as she had developed a habit of having a sleepness night at times just before that class and most importantly, while they were working together in the computer lab, Toots took the liberty of grabbing her hands and sending chat messages through her GTalk. She was surprised at such an after effect of Sting and wanted to be cautious because with term report annoying updates sent to her teachers, some of them had appeared on her Google Talk and with Toots losing it all, Nazia was worried Toots would do something stupid while assuming the gadget to be hers. She probably needed a high five on her bunny cheek to wake her up from Sting high slumber. Nazia had developed an annoying habit; while working on term reports she used to update and ask for regular feedback from her teachers, while some of them would have wanted to kill her for having an email account no matter how big a vampiress she were. However, she would have accepted that because vampires had a deep respect for their teachers let alone be the sweet blooded teacher she was feasting upon. Recently, Toots and Nazia were going through a bad time with respect to technology, their phones were giving up, they could hardly keep in touch with each other and this was the time they witnessed post purchase dissonance in practical terms, it’s good you get to learn something when it is applied in real life. 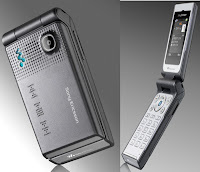 Their brand in use failed to convict them, it was Sony Ericsson that gave a bad time and it was their sincere advice to friends not to buy this brand. “That idiot! That stupid idiot whom I gave the phone to fix, checked it with my SIM and wiped out everything on it. .. I have lost all contacts, and then he realized that the warranty was of some other place!” Toots bursted with anger. “I know these people are such jerks, they fix one thing and ruin another! Just tell me about him, I’ll sink my canines in. I seriously feel like teaching these people a lesson!” Nazia created Sony Ericsson branded mountain out of a mole hill. The problem with advanced technology is that once you get used to it, you would never want to revert back in the stone ages again. Therefore, a phone with a camera would make you not to have one without a camera later on. “Everything and all the things wrong . . . Why? Because it’s not just the brand but it’s a slide phone as well, just like it’s a flip phone of yours, so we are both victims of the same brand. Our phones are dumb! Yours just won’t ring up and mine is useless if I try to answer it without the handsfree. GOD! I’m gonna burn this brand and feed the ashes to Nokia!” exclaimed Toots. They were both so against this brand that they vowed never to buy it ever again and felt it was a waste of money to have such a brand, they so wanted to write a rant against it . . . Well as if they were opinion leaders? But word of mouth matters in experiential marketing. However, this wasn’t entirely true . . . 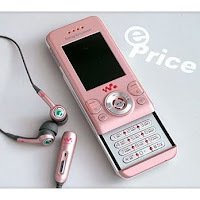 This phone was imposed upon her, yes this very, entirely pink phone, the pink, pink . . . The very very pink phone was brought and given to her to use. It was meant for a girl with ‘pink dreams’, a day dreamer of pink happenings. Even though it looked cute it was at times a source of embarrassment for her because it was too girlish. It seemed to be a toy for baby vampires and she had been a Tom boy in the past. As far as Nazia’s phone was concerned, it was the undead now, within a year of purchase it had gone four times to get fixed. Her being a vampire was ok but why were her things acting like one. It had drained the blood out of her, yes the blood she drank. While feeling satisfied that her phone was fixed yet again, she thought about the serious conversation she planned with Toots. Scrooge is also a vampire she kept thinking but then decided not to spill the beans and respect his privacy, time will tell she thought. It is a fact that vampires recognize each other and that’s how Scrooge found out about Nazia . . . Some secrets were meant to be exposed. She remembered his eyes bulging with vampire excitement as he saw cats . . . They were disappearing one by one. Toots and Nazia were relaxing on the uncomfortable cafeteria benches one day (with remaining cats roaming around) and discussing the chocolate brand they destroyed in their advertising presentation . . . it deserved an anti bacterial treatment by Commander Safeguard. They were laughing uncontrollably at their stupidity because they ruined such a well planned presentation of that market leader, the one that claimed to have run out of stock in the chocolate season during it’s ad campaign. As told by the relevant person in an ad agency, the purple pants that birthday guy was made to wear for the advertisement gave it a dramatic effect, yes those purple pants with fine indigo strips . . . It probably added to the day dreaming that he got the wrong gift mistaking whose birthday it was. During their presentation, the advertisement didn’t play because that class pc didn’t have an updated version of the video player. They had to give a commercial break (let another group present after this disaster) and rush downstairs to get it converted. Even though it was a moment of tolerance shown by Mr. F, Nazia thought she had passed on her traits into him already because of this annoying and hard to tolerate mistake. All the last moment extra addition to the project seemed to have rendered futile. With all the information Mr. Slash provided a midnight before made Nazia and Toots feel even more guilty because he had been very generous in providing a lot of relevant information regarding the brand as he had been incharge of it’s media activities in the past. She had eaten his nerves, brain transmitters and neurons asking questions on the phone and it drained the hemoglobin out of him to quite an extent . . . The human half of her felt guilty for that while the remaining vampire half felt really thankful to him for such last moment help, remember Nazia was still half human, she wasn’t entirely a monster. Despite Nazia’s sweet tooth, she thought she would not be able to face the brand again as that disaster caused vampire embarrassment. This was a symptom that made her teeth blunt making her unable to practice her traits because of which she feared she would continue borrowing straws from Scrooge for her communication prey (first episode). There was a problem or rather an enhancement of this symptom that was at times hard to control for her, her vampire traits would become contagious for any nearest person she annoyed and hence the advertising presentation. It was time to discuss something very important with Toots, something that would change the way she got along with friends. “Toots . . . How well do you know me? None of my other friends know me except for you but still . . .” asked she. Nazia felt uneasy thinking about whether she knew there was another vampire in their circle of friends . . .